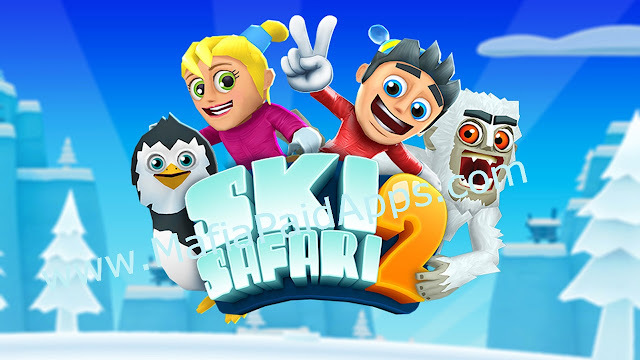 Play as Sven's sister Evana, share the action in multiplayer mode, perform awesome new tricks on snowboards and skis, and ride on crazy new animals! Oh, and watch out for the avalanche! It's the snowy slope we loved from Ski Safari, but it's had a Mammoth makeover! Find the frozen Mammoth inside a cave and try to tame him. Or grind across the cables of the after-hours chairlifts. And best of all, grab a snowmobile and pull off epic jumps once more! It's about time. A jurassic jungle full of prehistoric pals like the Pterodactyl, the Woolly Mammoth and a baby Ankylosaurus. These ancient animals have a dino-mite plan for our intrepid stars! Race against the "Lavalanche", slide along vines, or just go crazy performing tricks as you try to avoid rocks, stalactites and pools of molten lava! Perhaps the gentle rolling of the tumbleweeds is more your pace. Unfortunately, they didn't call it Twister Canyon for nothing. A fierce twister is headed straight for Sven and Evana! They just can't catch a break, can they? Here you'll find an assortment of ragtag rapscallions including Sheriff Yeti, Chief Penguin, and even an Armadillo! Ride in a mine cart, hop on a rickety railway, grind along a telegraph wire or watch the Yeti play the piano! It's how the wild, wild west was meant to be.